Message from Janice Schmidt, President of the HRS. FALL is a glorious time of year to work in the garden. Putting the garden to bed is a gradual process that begins somewhere around the middle of October and continues right up until the ground freezes. The rule of thumb is: “If it’s yellow or brown, cut it down; if it’s green, leave it alone.” As the weather gets colder, this life force is translocated to the root systems of the plants. When this happens, the leaves change color. Then, and only then, do you cut them down. I always try and get an early start on my perennials. But, if you do start too early, you may damage the plant or affect the plant’s ability to grow and prosper next year. If we think about roses, most harden themselves off as fall changes to winter. But, the more we look after and care for our roses throughout the growing season, the better chance they stand to get through the winter without too much damage. The key is to slow the rose growth down by not fertilizing at least six weeks before the first frost and allowing rose hips to form. Then, dormancy should occur and the roses will sleep until they awake in the spring. As part of the November 17th Open Meeting, there will be a very brief Annual Meeting, the Election of Officers. We will also have Refreshments. The Lucky Draws will be for Ina’s Embroidered Mini Tapestry, a lovely needlepoint, and Ellen’s garden-themed Plaque, with stand. So, please remember to bring a loonie or two in order to purchase Lucky Draw tickets to win these items. Past President of Barrie’s Garden Club and Master Gardener since 2009.
winter interest, pruning basics, and size considerations. We can learn this evening of other shrubs to give beauty and interest all year long on our properties. Her garden is an official wildlife habitat-certified by the Canadian Wildlife Federation. We have decided to forego holding public meetings in the winter. The Spring public meeting will be held on Tues. April 19, 2016 at the Dorion Parker Centre, at 7 pm. There are only a few weeks left before the closing date of the Huronia Rose Society’s photography competition, and all entries are due at our November 17th Open Meeting. So be quick if you want to enter! The categories are listed in the last Newsletter and on our web site. If you need a refresher regarding the entry categories, please refer to the attachment to your June newsletter, or call me at 705-728-7719 or email me at jantim20061998@gmail.com. We recently celebrated our 35th Anniversary. 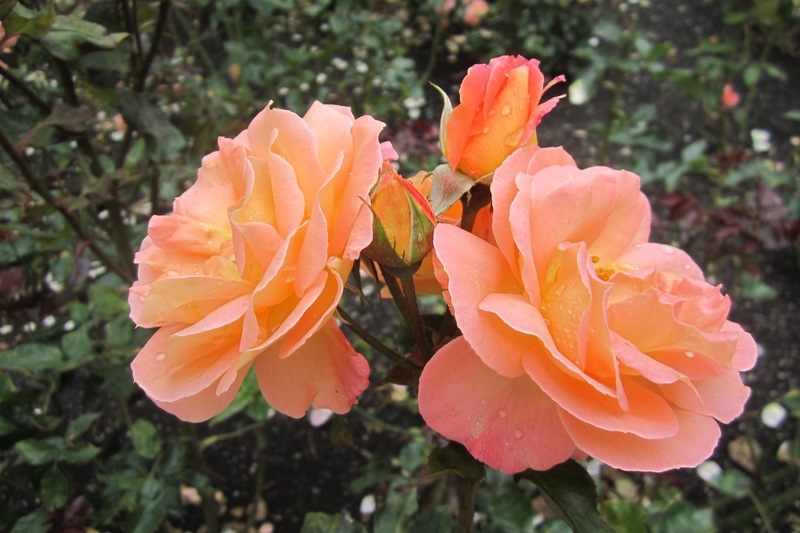 Over the years, we have continued to enjoy and share information on the growing and showing of roses. Today, the costs of running our Society have been increasing. To continue to provide the Membership with knowledgeable, informative speakers and a place to meet, we need to increase the annual fee. Starting in 2016, a Single membership will be $15 and a Family will be $20.00. We thank you in advance for your continued support and understanding as we share a common pursuit, simply, our love of the rose. If you have any questions or concerns regarding the increase in fees, please do not hesitate to contact me at jantim20061998@gmail.com.